Metro is the passenger information brand used by the West Yorkshire Combined Authority in England. It was formed on 1 April 1974 as the West Yorkshire Passenger Transport Executive (WYPTE) at the same time as the metropolitan county of West Yorkshire. The Metro brand has been used from the outset, and since the formal abolition of the WYPTE on 1 April 2014, it has been the public facing name of the organisation. The transport authority of West Yorkshire, responsible for setting transport policy, is the West Yorkshire Combined Authority. The WYCA is also responsible for delivery of transport policies. Metro is a public transport brand of the West Yorkshire Combined Authority which is, through its transport committee, the transport authority for West Yorkshire. It replaced the West Yorkshire Integrated Transport Authority on 1 April 2014. The West Yorkshire County Council was the transport authority from 1 April 1974 until 1 April 1986. It was replaced by the West Yorkshire Passenger Transport Authority that was made up of elected councillors from the districts of West Yorkshire. The West Yorkshire Passenger Transport Authority was renamed the West Yorkshire Integrated Transport Authority following the Local Transport Act 2008. The Metro brand was adopted in 1988. Buses are operated by private companies, with early morning, late evening, Sunday and rural services often supported by Metro. There is a special rural bus section, which promotes a combination of minor local links and major long distance routes. 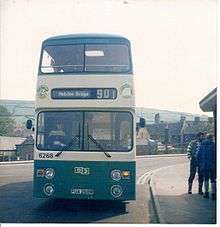 On 1 April 1974, the West Yorkshire Passenger Transport Executive was created by merging the municipal bus fleets of Bradford City Transport, Leeds City Transport, Huddersfield Joint Ominibus Committee and Halifax Joint Ominibus Committee, which earlier in the 1970s swallowed up Todmorden Joint Omnibus Committee. The operation was divided into four districts and a new livery of cream and verona green replaced the Bradford light blue & cream, Huddersfield red & cream, Leeds two-tone green and Halifax & Calderdale orange, green & cream. Created following the Local Government Act 1972, the Executive had to operate within the policy guidelines of the County Council Public Transport Committee, coordinating the operation of all public transport in the county. The Executive inherited approximately 1,500 buses along with 6,000 staff and the associated garages and street furniture. The Executive relinquished ownership of local buses following the Transport Act 1985, creating arms-length operating companies. It continued to coordinate public transport as the West Yorkshire Passenger Transport Authority when the metropolitan county was abolished in 1986. New buses were purchased in large numbers at the outset. In 1976 Baddeley Brothers of Holmfirth was purchased providing the PTE with additional coaching and stage-carriage duties. In 1980 the Baddeley Brothers business was also disposed of, although the Metrocoach operation was retained. In 1976 modifications were made to the livery. Originally there were three stripes at the sides of the destination box, which wrapped round to the sides and swept down. This took time to apply, and a trial was made with one thin line. In 1977 the lines were removed and the green area at the skirting of was raised up, so there was slightly more green. The other change was the fleet name to MetroBus in 1976, removing the district names. On 25 April 1977, the PTE acquired the old-established Kinsley based United Services from WR & P Bingley. As well as providing the PTE with more coaching operations, this took it into an area of West Yorkshire where it had previously had no presence. United Services was maintained as a separate subsidiary and retained its distinctive blue livery, whilst a new livery of red & ivory was adopted for the PTE's coaches, which operated under the "Metrocoach" banner, with brown added for "Metrocoach Executive". Later Bingley's depot received double-deckers transferred from the Leeds District. 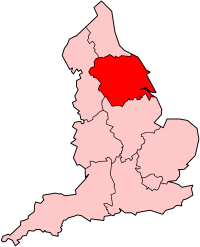 In early 1981 a reorganisation of operating districts was implemented with the East District becoming responsible for the Leeds depots and United Services, whilst the West District took control of Bradford, Halifax, Todmorden and Huddersfield. Three new Leyland National 2s were acquired for United Services, in blue livery. In July 1981, MetroBus and the National Bus Company (NBC) formed a new integrated transport system known as the "Metro-National Transport Company Limited". All PTE and NBC buses began to appear with a new emblem, which consisted of the MetroBus WY's in one box and the NBC "double N" or "N-blem" appearing in another to the right of the PTE emblem, and slightly lower. The boxes were linked to show the integration. 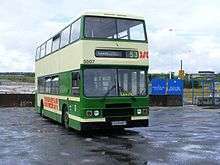 They also appeared with MetroBus fleetnames with "The easy way from here to there in West Yorkshire". The new "Metrobus" fleetname being applied not only to PTE owned vehicles on which WYPTE lettering was carried beneath the fleet name, but also buses of NBC subsidiaries West Yorkshire Road Car Company, West Riding Automobile Company, Yorkshire Woollen Transport Company and Yorkshire Traction, carrying "West Yorkshire", "West Riding", "Yorkshire" and "Yorkshire Traction" names below the Metrobus name. Some years later some of those buses (excluding Yorkshire Traction) were repainted into the PTEs verona cream and buttermilk livery so as to present a corporate image. From this date the "WY" logo on the front of buses was replaced by the "Metro-National" emblem in mid-1983, to celebrate 100 years of public transport in Huddersfield, MetroBus paint two vehicles in old liveries: Leyland Atlanteans carried Huddersfield Corporation red livery and Huddersfield Corporation Tramways livery. They became "Building on a Great Tradition" vehicles and were in those liveries until the late 1990s. Deregulation occurred on 26 October 1986. The WYPTE bus division was renamed Yorkshire Rider and with it a new livery of dark olive green and cream and a stylised "YR" emblem. Five double-decker buses were operated in each of the municipal council's colours (already included were the two Huddersfield buses), with words on the sides between the decks saying "Building on a Great Tradition". The bus services and fare/bus pass/timetables division was renamed Metro. Christmas Day, Boxing Day, New Year's Day – no service. Some free services are provided by volunteers using buses from the Keighley Bus Museum Trust during Christmas Day daytime. In 2007 Metro have agreed to provide trial services on main routes in Huddersfield and Leeds on Boxing Day 2007. Christmas and New Year's Eves – Saturday service (or Sunday service if these days fall on a Sunday), but with early finish. Bank Holiday Mondays – Sunday service (except Saturday service on Harrogate and District, and where otherwise stated). Good Friday – normal service. In August Metro start to Issue A ticket called Metro Active. This ticket is Available after 09:30 and is used by children (under 11) with parents, children aged 11–16 with a young persons photocard and teenagers aged 17–19 with a Scholars Photocard. The cost of the ticket is just £1 and can be used on all operators services within West Yorkshire (Also includes Barnsley and Doncaster). The service, using buses painted yellow with coordinated My bus branding gained significant mode shift: 64% of primary school users were previously driven by car. Under this scheme, these buses were not allowed to be used for non-school purposes. West Yorkshire Metro claims benefits from 'My bus' ranging from reductions in car use, traffic congestion, air pollution, traffic accidents, social exclusion, truancy and late student arrivals and improvements to education, safety for pedestrians and cyclists, integration of people with special needs and children's experiences of public transport. Metroconnect Accessbus in WYPTE Area. 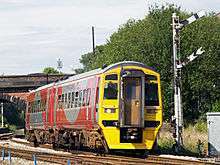 Local and inter-urban rail services within West Yorkshire and the surrounding areas, part funded by Metro, were advertised under MetroTrain brand. In the 1990s, some Class 144, 155, 158, 308, 321 and 333s were painted in Metro livery. All were later repainted in Northern Rail livery. Some of the 144s and 155s were originally purchased by the WYPTE but have since been sold to Porterbrook. Metro retain ownership of the 158 and 321s which are leased to the Northern franchise holder. There are 12 lines running through West Yorkshire; Airedale, Calder Valley Line, Dearne Valley, Hallam, Harrogate, Huddersfield, Leeds-Bradford, Penistone, Pontefract, Wakefield, Wharfedale and York & Selby. The majority of these lines run into Leeds and most run into neighbouring areas, serving towns and cities such as Barnsley, Blackpool, Doncaster, Harrogate, Liverpool, Manchester, Nottingham, Preston, Sheffield and York and Manchester Airport. 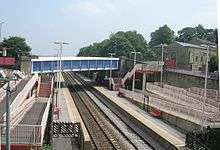 Some lines over-lap each other, which means that stations such as Castleford, Huddersfield and Wakefield Westgate are served by more than one line. Most lines have frequent services, but the Dearne Valley line has a limited service of two trains a day in each direction. A new station is planned at East Leeds Parkway and there are proposals to reopen a station at Elland although no final decision has been made. Most local services are run by Northern, and longer-distance routes are served by TransPennine Express, Virgin Trains East Coast, CrossCountry, East Midlands Trains and Grand Central. In 2001 Metro, came up with Leeds Supertram, with the idea of bringing back a tram network for Leeds. After the original scheme exceeded its budget, the Government asked Metro to look at ways of reducing costs. In spring 2005 Metro went back to the Government with a re-costed plan but the Secretary of State for Transport Alistair Darling rejected the proposal after the 2005 general election. Darling responded by pointing to plans by a private bus operator for a bus system where the vehicles were designed to look like trams. This is not the first time such a scheme has been unsuccessfully pursued. In the mid-1980s the PTE was interested in bringing back trolleybuses in Bradford with Yorkshire Rider awarded a contract to operate, but nothing came of it. ↑ Colin Speakeman (1985). Public Transport in West Yorkshire, Ten Years of Achievement. Metro–West Yorkshire Passenger Transport Executive. ISBN 0-9510201-0-2. 1 2 "Metro – Mybus-schoolbuses – 'My bus' school transport: How it works". Metro. Retrieved 7 January 2011. 1 2 "Metro – Executive Summary – My bus report" (PDF). Metro. Retrieved 9 September 2009. ↑ "WestYorkshireBusesWebsite . . . . a to z". West Yorkshire Buses. Retrieved 7 January 2011. ↑ "Metro – Buses – Bus Operators". Metro. Retrieved 17 March 2011. ↑ "Metro – Timetables & routes – West Yorkshire's rail network timetable". Metro. Retrieved 10 September 2010. ↑ "Metro – Timetables & routes – Train routes and timetables". Metro. Retrieved 10 September 2010.